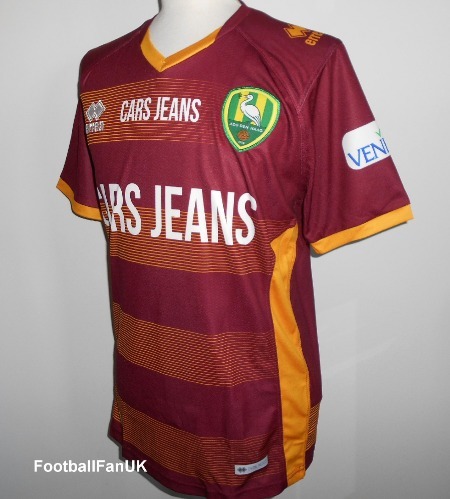 This is the 2018/19 season away soccer jersey of Dutch Eredivise club, ADO Den Haag. This is an official Errea football shirt and is new in Errea packaging. We are an official Errea stockist. - 'Onze Trots' (Our Pride) woven at the back of the neck. - Adult Men's Large size. Chest approx 43", length 29". - See our own photos of the actual item (size L shown in photos).